So, here’s what Rio was for Halloween. 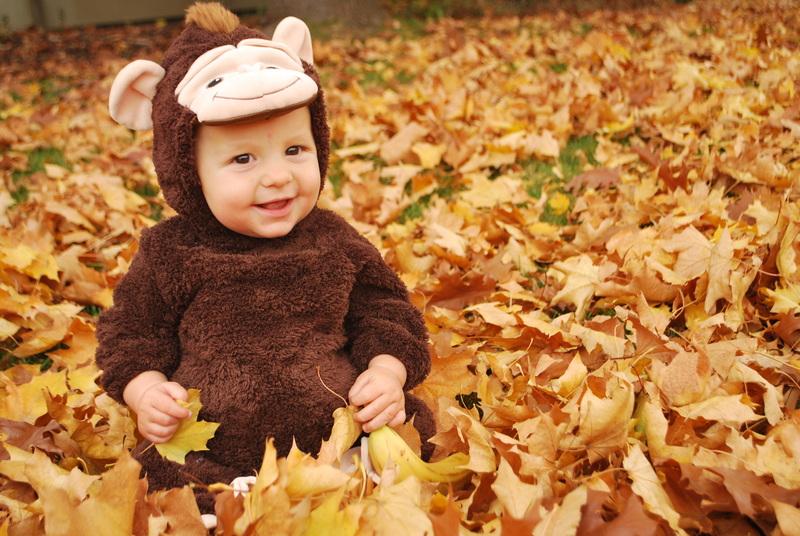 We inherited the monkey costume from his cousin. 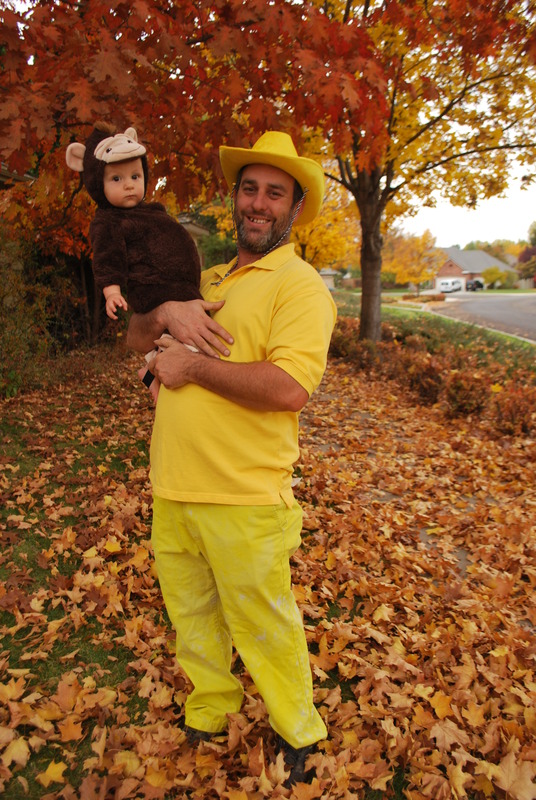 Found some Yellow Hats online for the Man and the Woman with the Yellow Hats, and dyed a pair of thrift store khakis yellow for Marty. Halloween is such a blast again when you’re a mom. There was a lot of eye rolling from Marty, but all three of us had a great time at the party we went to, Rio loved watching all the other kids. 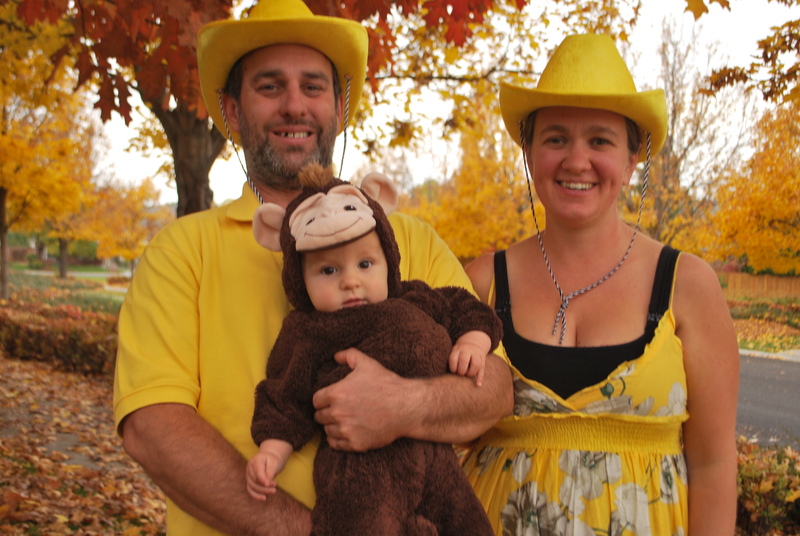 Tags: Baby Halloween Costumes, Family Halloween Costumes, Halloween. Bookmark the permalink.